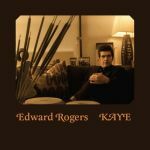 Edward Rogers’ Psych-Pop Visions on Geek EmaNation podcast! EDWARD ROGERS might not be a household name, but he has quietly been putting out some of the finest personal pop music for a decade with the help of members of PSYCHEDELIC FURS, TEENAGE FANCLUB, and some of the finest musicians NYC has to offer. His latest release is dedicated to pop eccentric KEVIN AYERS, and bring a strong psychedelic element to his pristine pop vision. Hear excerpts from a recent discussion between Mr. ROGERS and GE host The Rock’N’Roll Nurse on this special episode. Go Brit-Pop crazy, fellow music geeks!